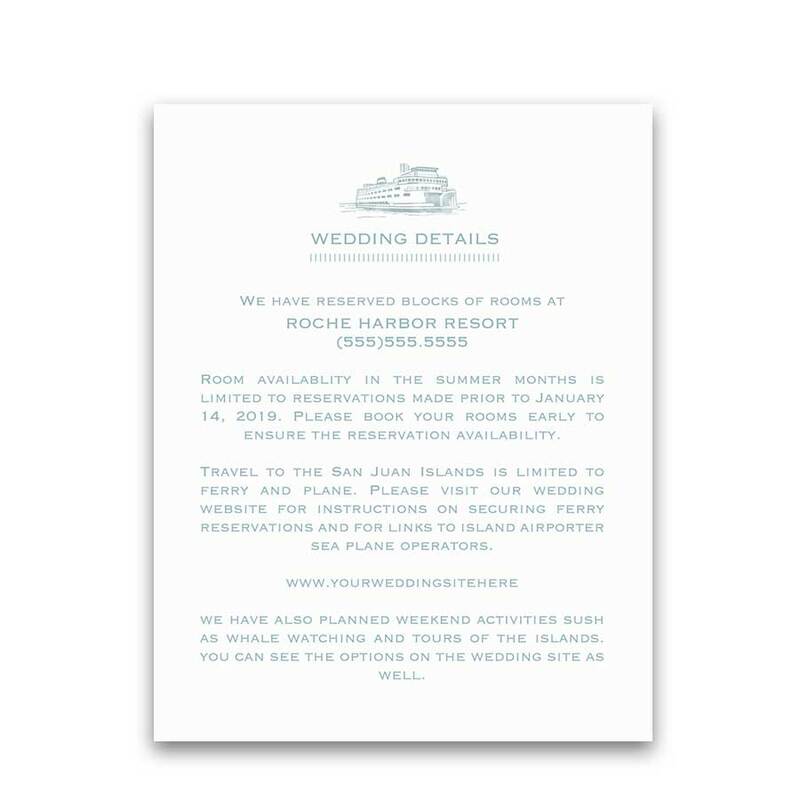 A beautiful watercolor wedding save the date postcard featuring your favorite engagement photo for weddings in the beautiful San Juan Islands. Beautifully elegant fonts complete the design. Choose between two paper types and each card comes with an accompanying envelope. To proceed please choose number of save the date postcards. Photo Save the Date Postcards San Juan Island Weddings. 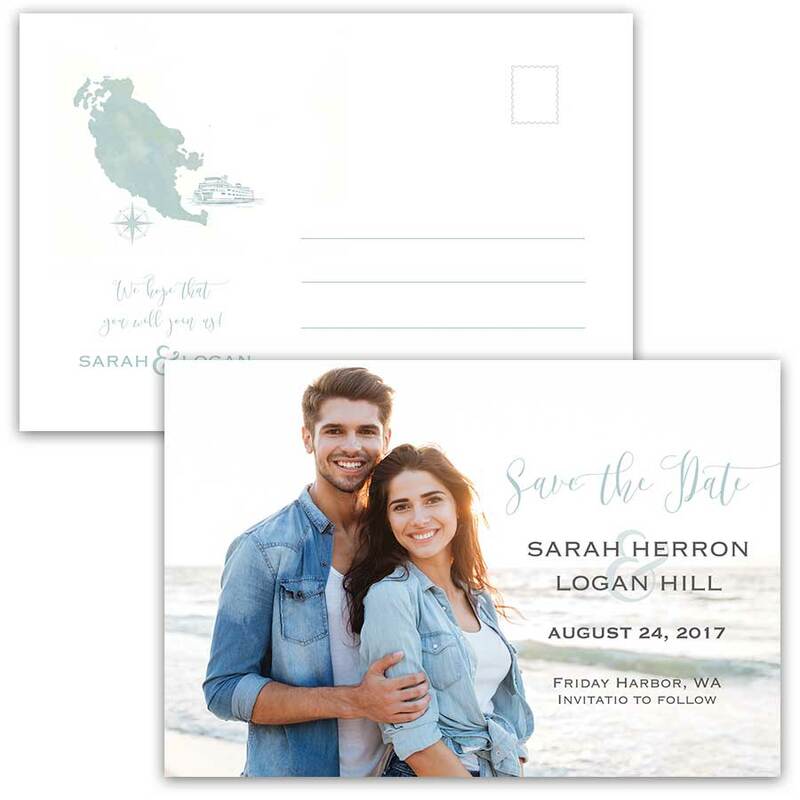 This beautiful watercolor hand painted save the date card features your favorite engagement photo.Welcome to the San Juan Islands Wedding Collection. 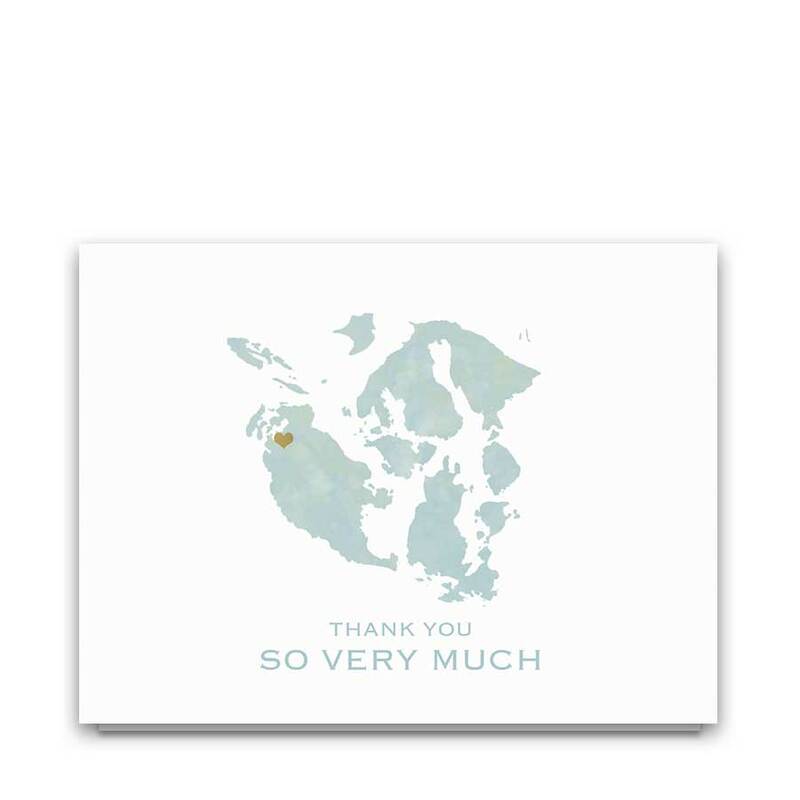 The island on the back of the card will be changed as needed for your destination wedding in the San Juan Islands. 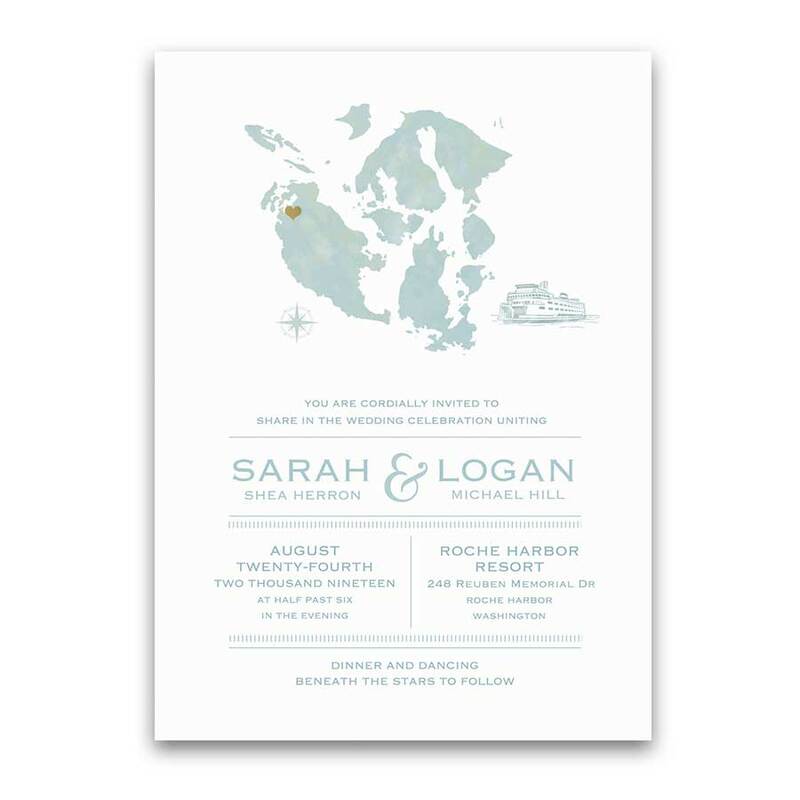 Set on an white background, this elegant wedding save the date boasts your favorite engagement photo. 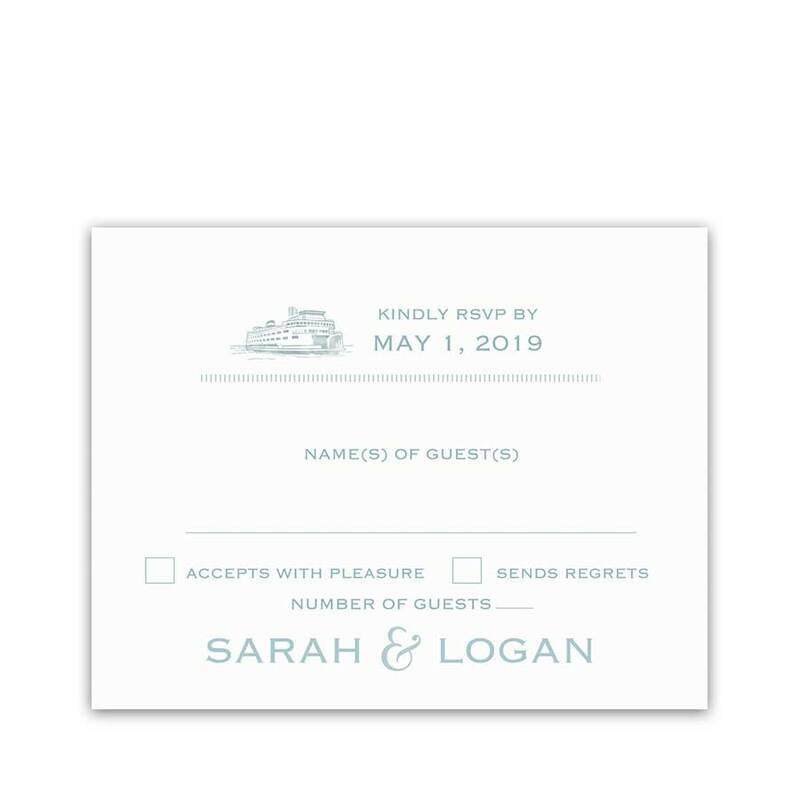 We have also added a Washington State ferry and a note to guests, completing the save the date postcard design. As you can see, complimenting accessories with the same watercolor paint theme are also in the store. Especially relevant for: San Juan island weddings, Orcas Island weddings, Lopez Island wedding celebrations, rustic chic weddings, Roche Harbor and Friday Harbor weddings, and watercolor weddings- not to mention island weddings alike in spring, summer, winter and fall. 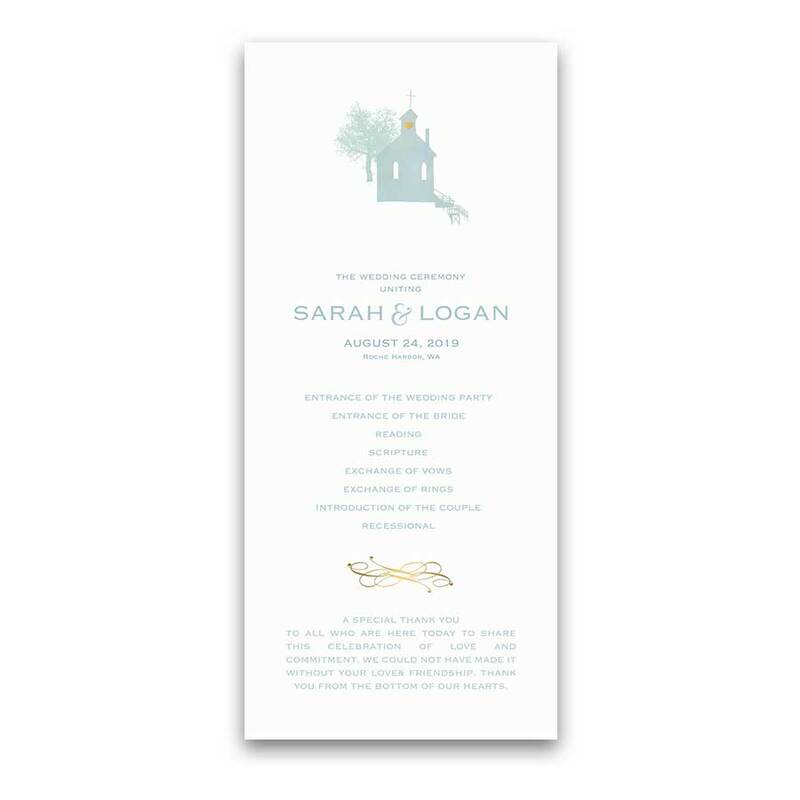 The Photo Save the Date Postcards San Juan Island Weddings measure 6 inches wide by 4 inches long. A card option is also available. We will need a high resolution photo (300 dpi) to complete your save the date. Please email this to noteodccasions@gmail.com. A designer will contact you upon receipt of the order to make sure there are no issues.